If you’re new to eSports and betting there may be a lot of questions that comes to mind. Therefore we are here to help you with our FAQ. We have collected some of the most common questions people have about betting sites in general. Should there be any important subject or questions that you think we haven’t covered, don’t hesitate to contact us at [email protected] or hit us up on twitter and we will make sure to add it. Why do I need to send in documents and verify my account? Every licensed betting site is by law required to verify their players at some point. This law is essentially created to prevent money laundering to the biggest extent as possible. Usually, the verification process takes place when the total amount withdrawn from the site reaches 2000 € or equivalent. What is then usually asked for is a form of Identification and a proof of address. This is the most common verification process. There can, however, be other forms of verification being needed as well, such as verification of the payment method used to deposit with or verification of the bank account the withdrawal is requested to. Unfortunately, there are no way to tell beforehand what is going to be requested and the betting site reserves the right to request any documents at any point of time to verify a customer if they feel the need for that. This is all in line with the money laundering laws that must be followed. Why do I have to withdraw back to the same method as I deposited with? This is also something that is in line with the money laundering laws that needs to be followed. However, it is also to protect this site itself from chargebacks being done and protect them from any other shady or fraudulent activities. Asking for this the site knows that the money is always going back to where it originally came from. Why does it take so long time to get my money? There are times when withdrawals are processed automatically, however, usually they do need to go through a manual check. In this check, the gameplay and account details are being analyzed before the withdrawal is getting approved. How long this will take depends on how long the queue of withdrawals is. Note that if there is any suspicion that the terms and conditions of the site may have been breached this process can be prolonged. Different payment methods have varied withdrawal times. Credit card and a bank have, in general, a few days processing time. Other payment methods such as Paypal and Bitcoins have an instant transfer time once the withdrawal has been approved by the operator. Do you have an active bonus? When money can’t be withdrawn this could be due to several different reasons, however, the most common one is that a bonus is being active and needs to be wagered. We suggest that you contact the customer support about this. In some cases, there’s just a small bonus amount that locks up your real money and the best thing to do might be just to cancel the bonus. How bonuses work differs from site to site, but usually, when a bonus is active you have your own, real money and you have bonus money. Your own money is then usually locked into the bonus. When you play either your own money or the bonus money is used first. It can also be that it’s used 50/50. Winnings made from your own money becomes your own and winnings made from bonus money becomes bonus money. For your own money to be unlocked the bonus must meet the wagering requirement or be canceled. If the bonus is canceled the bonus money will also be removed. For the bonus money to become your own, real money the bonus must meet the wagering requirements. To wager the bonus you have to bet a certain, total amount. For instance, a casino bonus could have a wagering requirement of 30 times and then the amount received from the bonus would have to be played for 30 times. eSports bonus could have a wagering requirement of 6 times the bonus amount where you would need to bet on odds 1.4 or higher. The wagering requirements are different from each site, so it’s always best to check the terms and conditions for every bonus. Is there anything I should know when it comes to eSports betting? When it comes to eSports betting this is much like any other sports betting. However as this is still something that is fairly new, one should be prepared for bets taking a bit longer to be settled. The varieties of markets are often also a bit limited. This does differ from site to site though as some are more eSports oriented than others. Also since eSports is on the rise this will definitely change in the future. Markets are the variety of bets that can be placed on a certain match. The most common market is to bet on the match winner. Another common market is to bet if the total score will go over or under a certain number. Even though the number of markets provided differs a lot from site to site, there are a lot of different markets to be found. Grab your money and run! Cash out is an option is a service provided by some sites, on certain bets that you place. It allows you to receive money from a bet you’ve placed before the final results are in. For instance, let’s say that you’ve placed a bet that the home team will win the game. They are currently in the lead by one point and your bet is looking good. There is however still 20 minutes more to be played, which means that the away team could score and your bet would be lost. With the cash out feature, this allows you to win your bet instantly. The money paid out will, however, be lower than if your bet would have won full time, but sometimes it’s better to be safe than sorry. Normally all odds on a match is set by the bookie. However, with the betting exchange feature, it allows you to bet at odds set by either other players or yourself. In other words, you decide the odds that you would like to have. All you need to do is to set the odds for the different outcomes, choose your own selection and then hope that another player will bet against you. Should someone do that, your bet is on, otherwise the bet will be canceled. Alternatively, you can choose to bet against other players who have already set this up. How does eBetFinder rate sites? Please check out our how we rate section as we have created a dedicated page just for this, where our rating procedures are thoroughly explained. 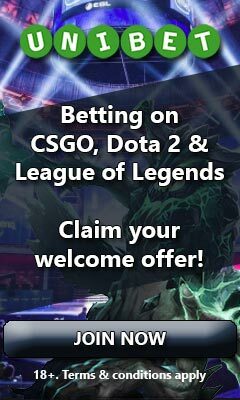 What makes eBetFinder so unique? When it comes to most other sites that write reviews, they aren’t really doing it for you. You can usually find a clear pattern of a few selected betting sites that they promote over and over no matter where you turn. We don’t do that. Usually, the information you find in their site reviews is also very dated and incorrect as they don’t bother to update it. Basically, they have put together a site made to look good, but that isn’t really helping you. We don’t do that. eBetFinder is all about quality, passion for the industry and helping you to make the right decision when choosing a site. We are not afraid to bring up the downsides of a betting site because it’s important for you to know this information. We don’t promote certain sites over others but have them all listed and write objective reviews. We haven’t just created this website to let it be. We’re here to make constant updates, making our reviews as fresh and up to date as possible. And most importantly, we listen to what you want. This site is built for you and if you have any suggestions, we will make sure to take those into consideration and update the website accordingly.